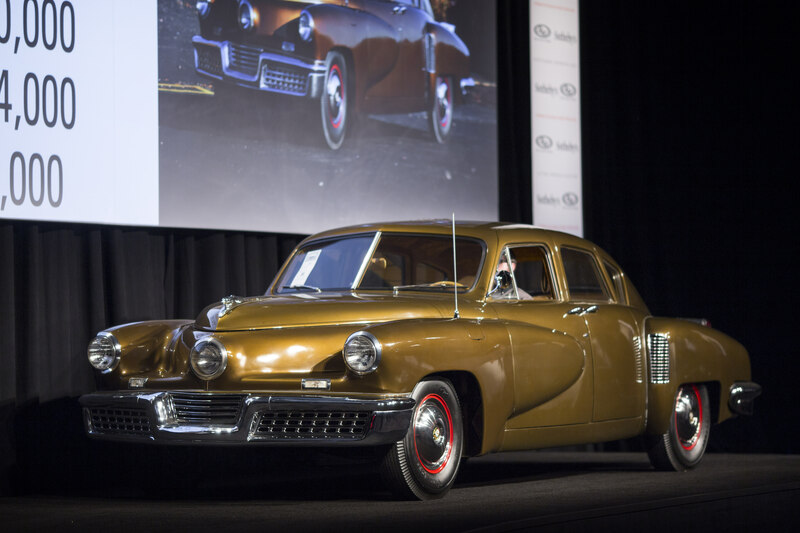 In celebration of next week's Pebble Beach Concours d'Elegance, the history of the Tucker 1044 has been updated with new information and photos. Above photo taken on August 12, 2018 by Jason Mathew. Tucker 1044 was completed by a handful of Tucker employees after the plant closed sometime from October 29, 1948 (the last day of plant operations) and March 3, 1949 (when court receivers took control of the plant). 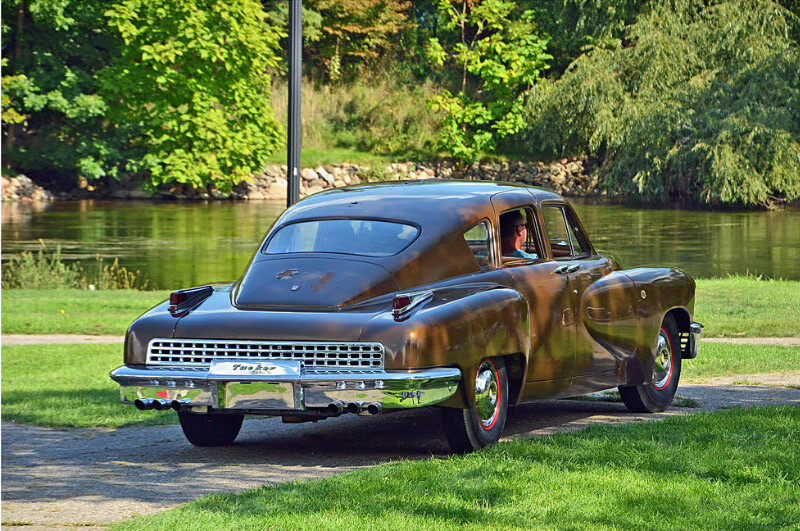 It remained in the Tucker factory inventory until 1950. 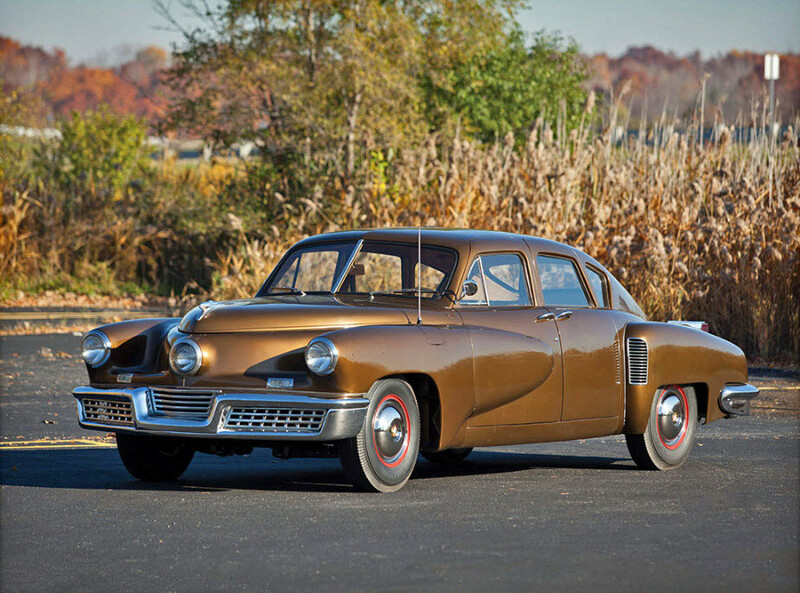 The Andante Green Tucker 1044 is listed on the March 3, 1949 Tucker Inventory to be sold for $2,000. It was stored in Building #4. 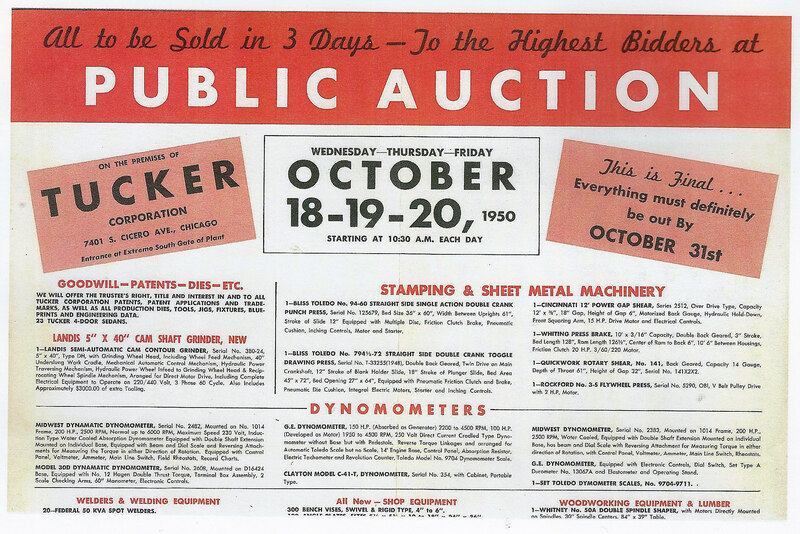 At the famed auction of the Tucker Corporation’s assets at the Tucker Factory in Chicago on October 18-20, 1950, Tucker 1044 and the Tucker “Tin Goose” prototype were sold to Rifken, proprietor of S&S Auto Parts in Schaumburg, Illinois. 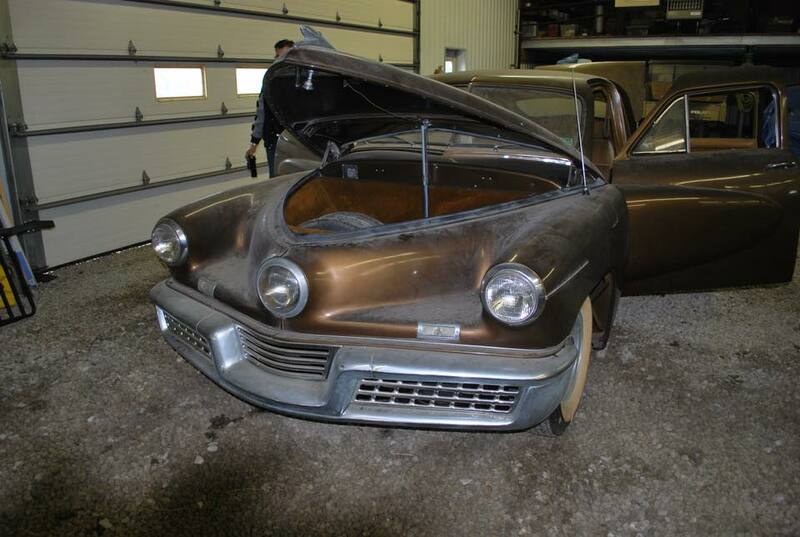 A total of 23 Tuckers were sold at the auction. 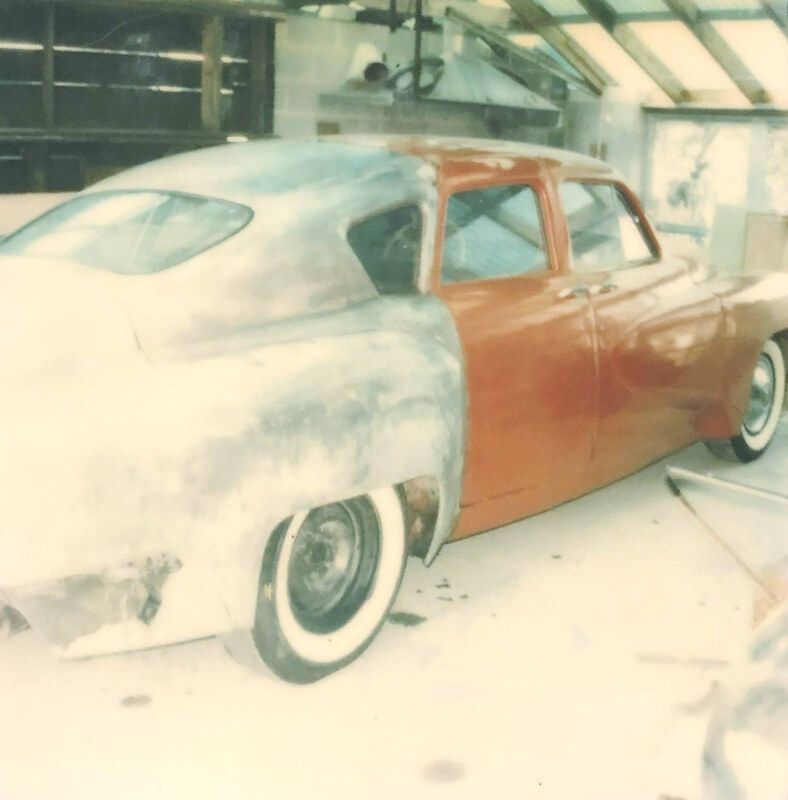 Sometime in 1951, Tucker 1044 was painted bright red and sold to Allen Rocco. Tucker 1044 photo courtesy of Sean Tucker. 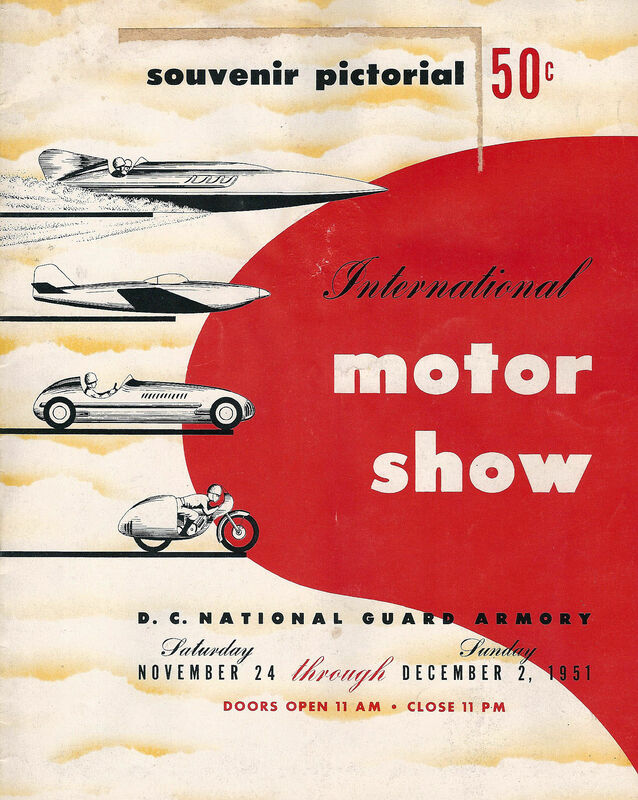 Rocco, a mechanic from Port Chester, NY, brought 1044 to the October 1951 International Motor Show in Washington, D.C., where it was featured in the pictorial program as “The Modern Jewel." 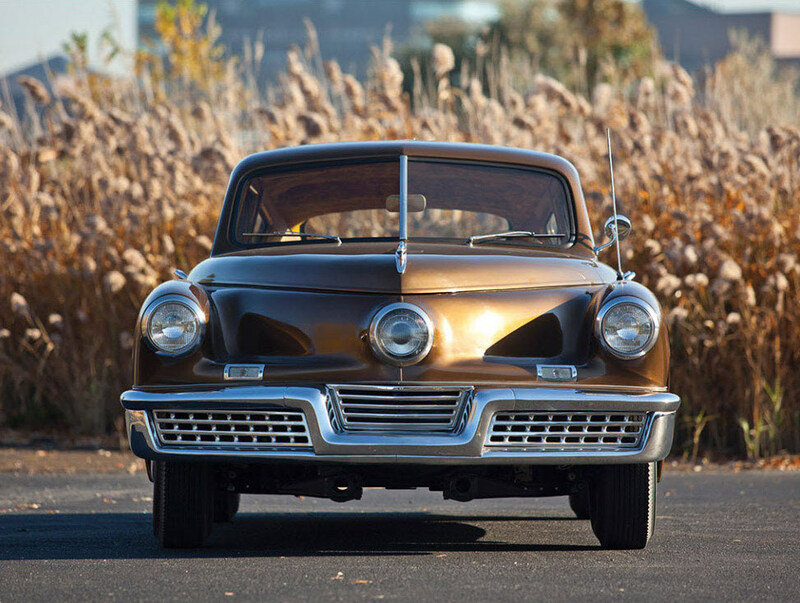 "A new Tucker with less than 3,000 miles. A bright red it is a striking beauty." Note: The 1951 New York State license plate. 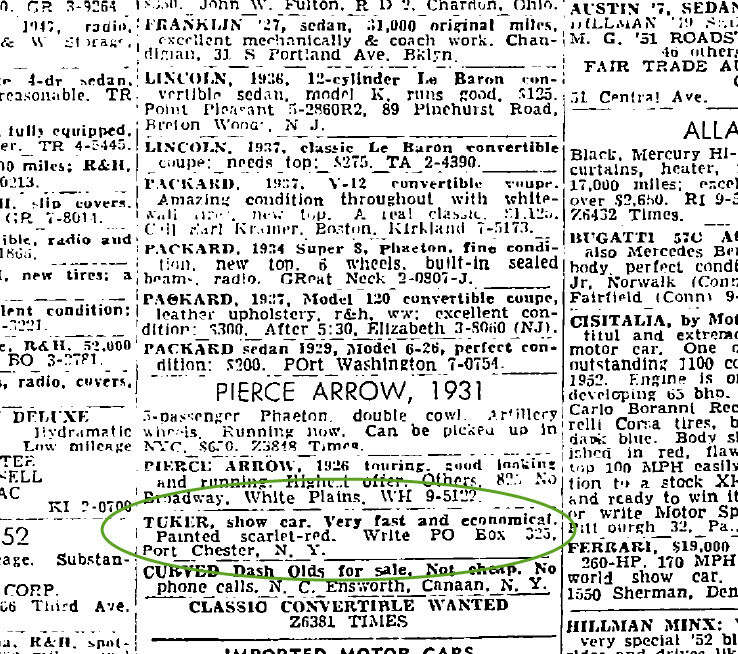 Rocco advertised it for sale in the October 19, 1952 edition of The New York Times. “Tuker (sic), show car, Very fast and economical,” he assured. The car failed to sell, however, and remained in Mr. Rocco’s ownership for the rest of his life until the late 1960s. 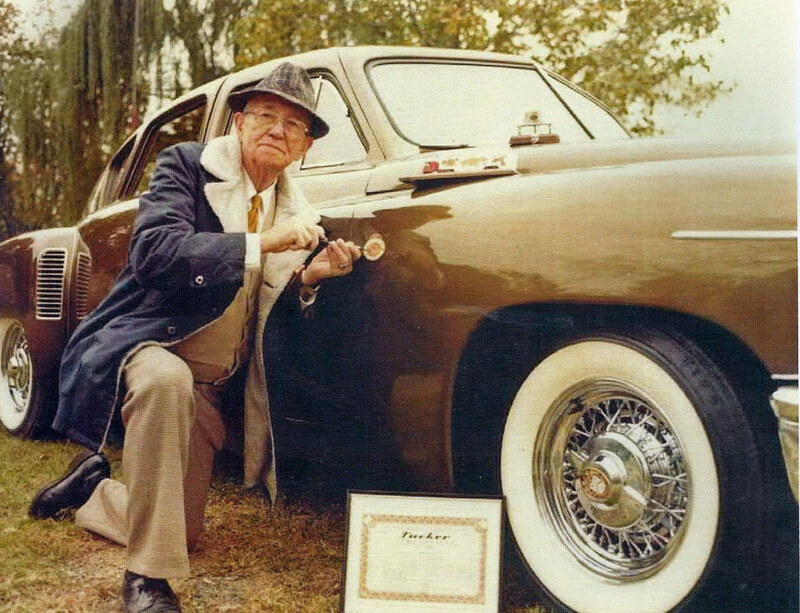 Following Rocco’s passing, Rocco's widow inherited the Tucker and sold it in 1969 to David Tunick, a renowned antique automobile collector from Connecticut. Sheaffer refinished Tucker 1044 in one of his favorite automobile colors- dark brown. Photo courtesy of Sean Tucker. 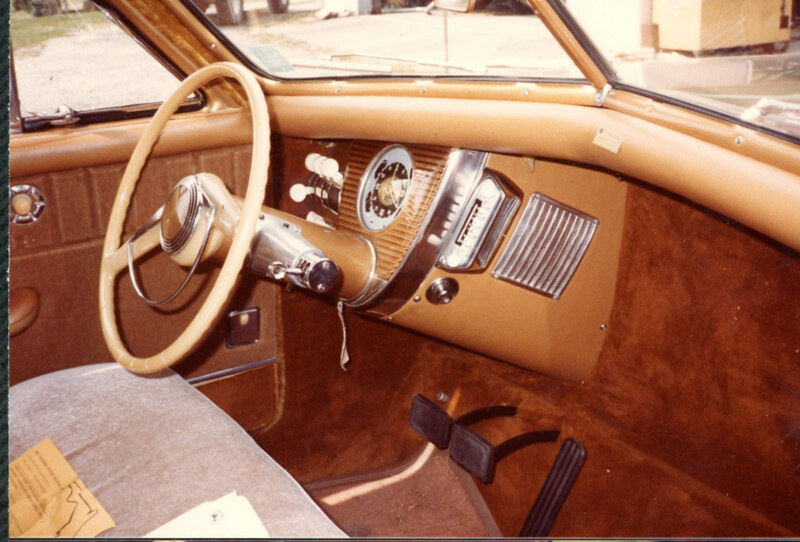 Tucker 1044 was subsequently displayed by Antique Automobile Club of America in 1980 and 1981 in Hershey, PA., winning its Senior First Prize. 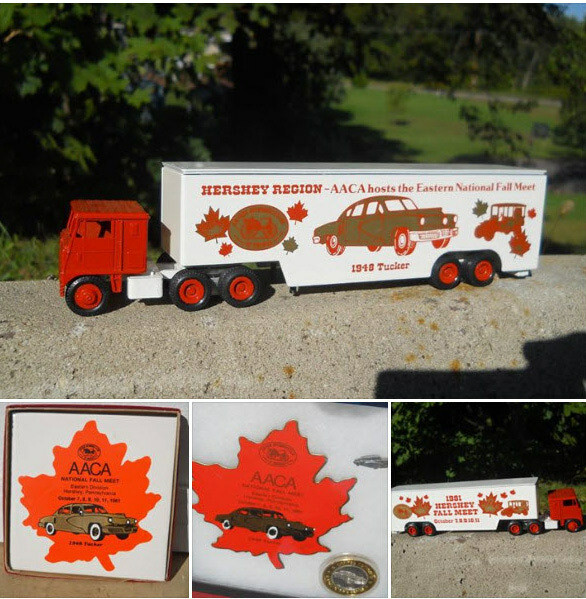 It was also featured on the AACA plaque and the commemorative WinRoss toy truck for the 1981 Hershey Meet. 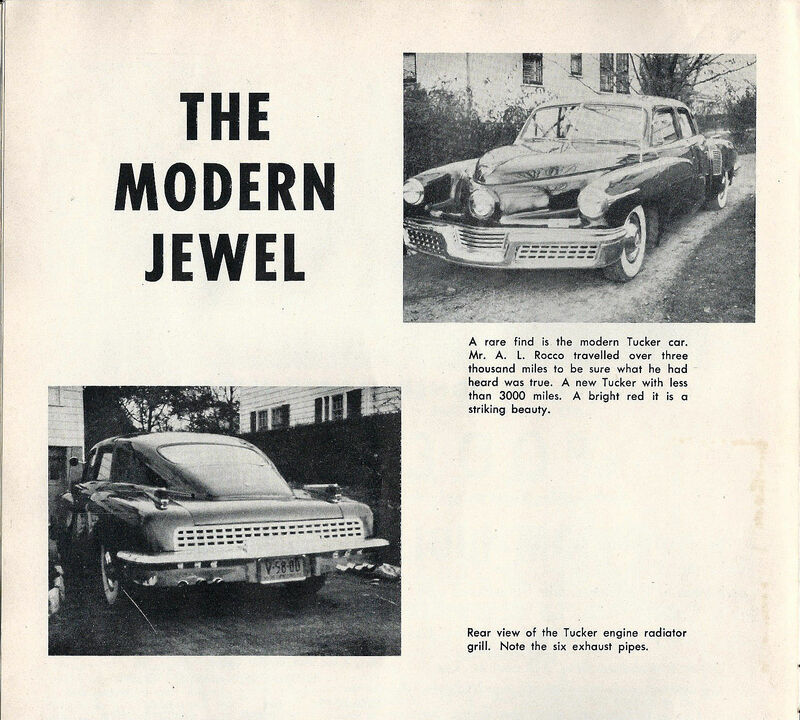 In the November 4, 1982 issue of Old Cars Weekly, Sheaffer offered the Tucker 1944 (sic) for sale. Mileage: 7,800. In late 1982, Sheaffer sold his beloved Tucker to Millard “Skip” Groh, owner of a marina in Freeport, Ohio. The car was brought to Freeport, where reportedly it was driven only three times and about 15 miles. 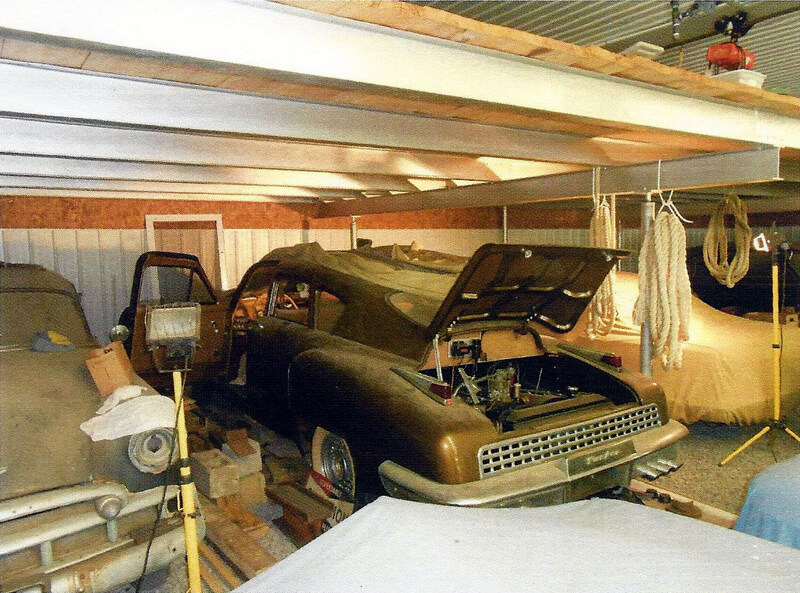 Mr. Groh then laid wood planks down on the gravel floor of a metal building on his property, drove the Tucker onto them, and closed the door. 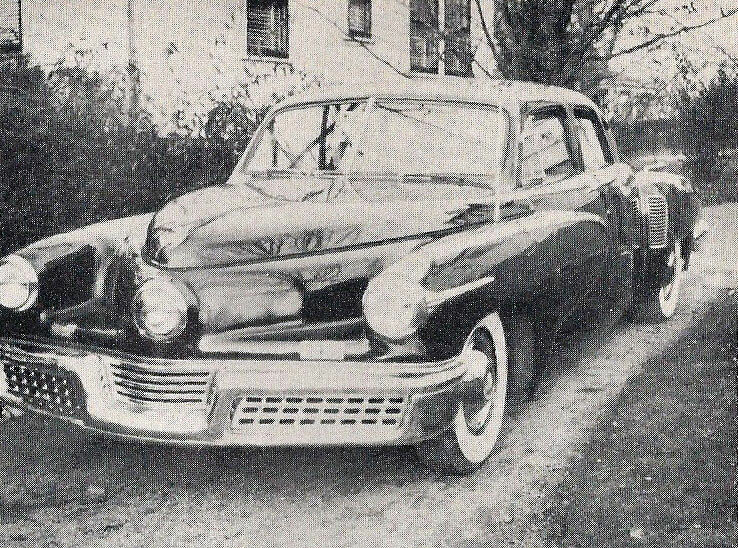 While the location of the car was quietly known to Tucker authorities and historians, it remained “off the radar” to the public. Attempts by the few people with knowledge of its whereabouts to acquire the car were all refused, and it remained hidden away for the next 34 years. 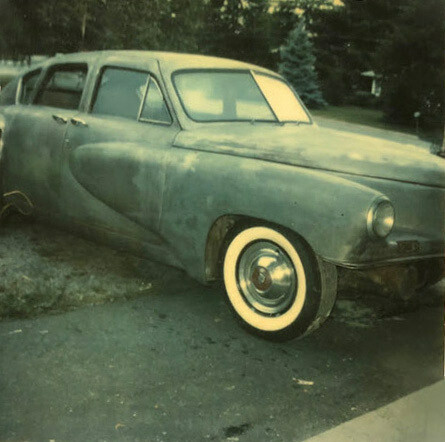 Lieberman, a longtime Tucker enthusiast, restorer, and archivist, was able to finally acquire Tucker 1044 in April 2016. Photo courtesy of John Tucker, Jr.
On January 19, 2017, Howard Kroplick purchased Tucker 1044 at a RM Sotheby’s Auction in Scottsdale, Arizona. Mileage: 7,909, only 109 miles since 1982. In the last ten months of 2017, Tucker 1044 was driven 297 miles.Photo credit: Patrick Ernzen. Courtesy of RM Sotheby's. 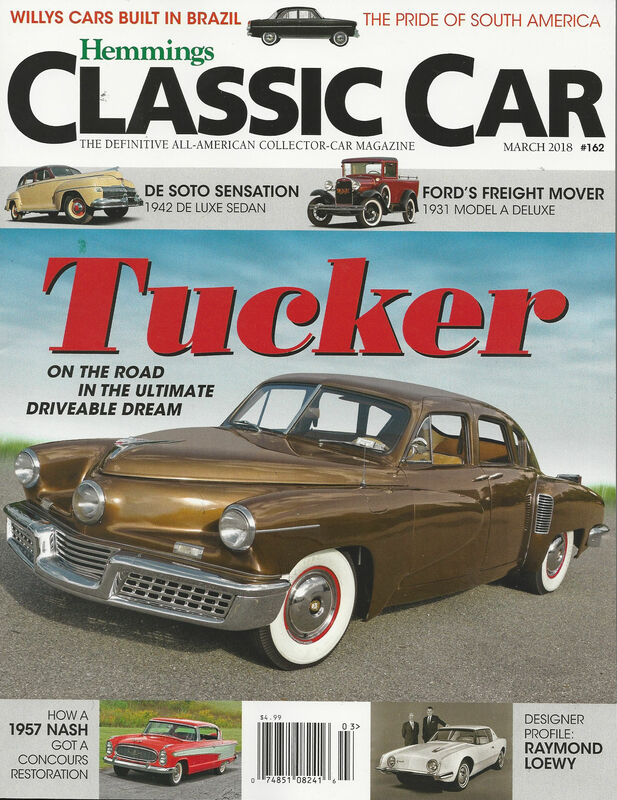 Tucker 1044 was featured on the cover of the March 2018 issue of Hemmings Classic Car. From December 1, 2017 to August 13, 2018, Tucker 1044 was restored by the team of Rob Ida, Mike Tucker and Sean Tucker. 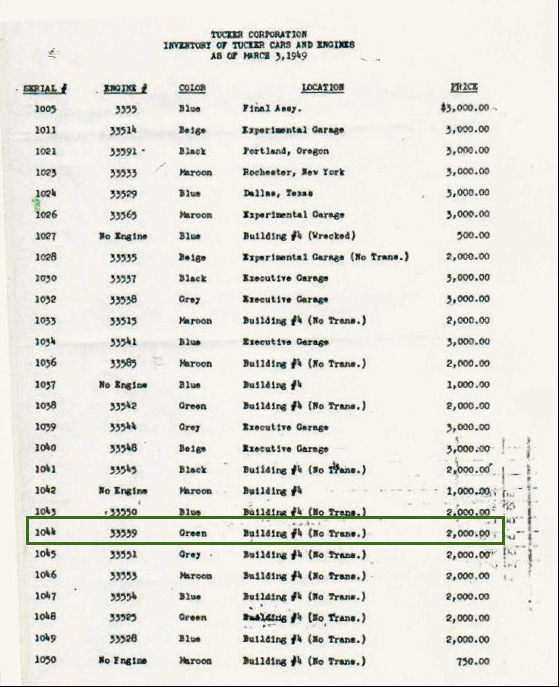 Rob's grandfather held a Tucker franchise in Yonkers, New York. 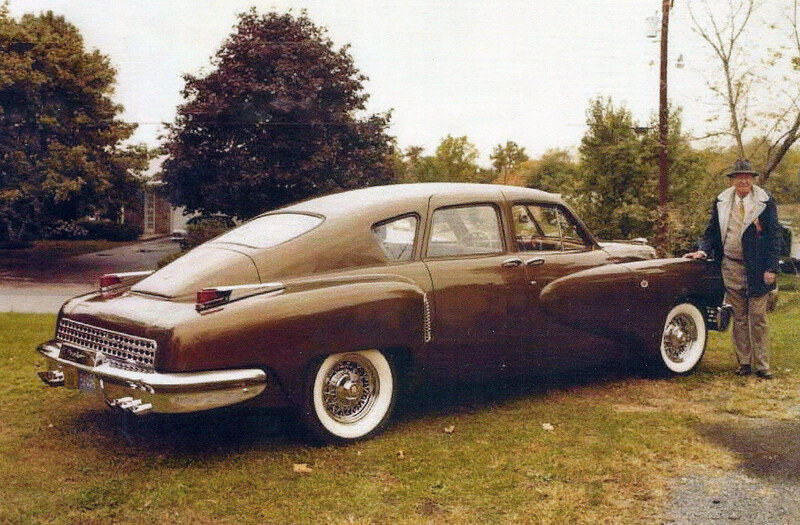 Sean and Michael's great-grandfather was Preston Tucker, the founder of the Tucker Corporation. Tucker 1044 has been returned to its original Andante Green color.Photo taken on August 12, 2018 courtesy of Jason Mathew. The restored Tucker 1044 will make its debut at the 2018 Pebble Beach Concours d'Elegance on August 26, 2018. Hi Howard: Quite the story and I very much share in your happiness !!!!!! May God bless and keep you for many years !!! Thanks for the detailed history Howard. I suppose it’s not totally uncommon for great classic cars like your Tucker to spend 30 plus years wasting away in storage. I’m glad that you and the owner that bought it in 2016 were able to rescue it. Thanks again for displaying it last Saturday for enthusiasts to see it. Thank you Howard for publishing this history. We are very proud of our family history and these 51 cars are a big part of our heritage. When I went with Mark to pick #1044 from Mr. Groh, I felt the same enthusiasm I feel even after seeing all but a handful of the Tuckers. These cars each have their own story to tell and I look forward to seeing what you have in store for this, one of the best examples of the original 51. You are a Long Island treasure. Thanks Howard for showing all your cars. I can’t think of a better person to have the car. 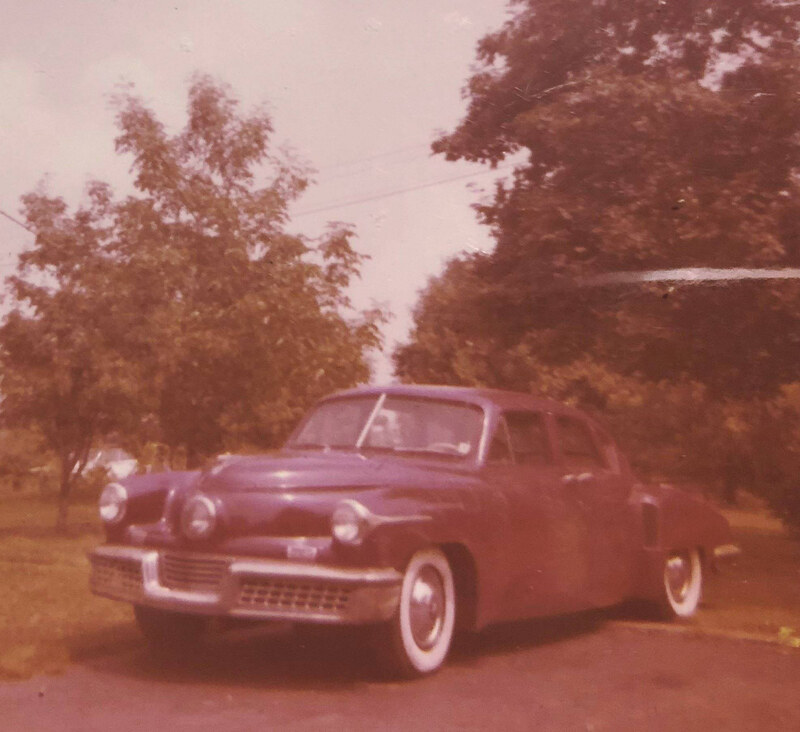 I can still remember my father talking about the Tucker and showing me pictures of one. This would have been in 1947 or 1948 when I was about 9 years old. Hi Howard The engine and transmission were replaced in 1973 . It could not be rebuilt ? ? Three color changes , was the interior changed also ? .....quite a bit of changing for so few miles . It is in good hands what ever you choose do or not . Chris, the only restoration was made in 1972-1975, when the color and interior was changed and the original Tucker engine was replaced with another original Tucker engine..
Howard: The Man and His Dream Car. Coming to a car show near you. Wonderful story Howard. Great. Restoration by the Ida family. I remember seeing there 409 powered Coupe at National Speedway as a kid. Hey Howard, Great to read this report. Les Shaffer was a good friend of mine. For decades we would speend a week together enjoying a vacation/car meet , the annual Franklin car gathering in Cazenovia, NY. Les also owned a beautiful 19332 Franklin Airman series 16A rumble seat coupe . 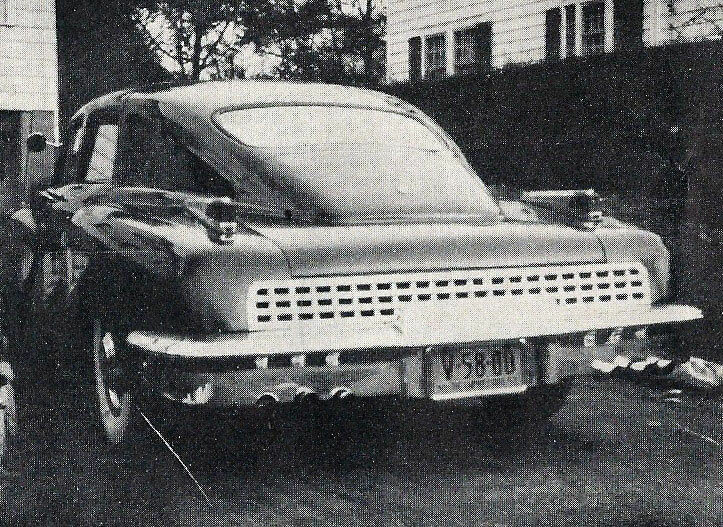 Les liked the Tuckers ( he had two) because they used a air cooled engine made by Air Cooled motors of Liverpool , NY. That firm was run by Carl Doman a former engineer at the Franklin Company in Syracuse, NY which is just south of Liverpool, NY . The bottom of the Tucker should have a casting in it that says Franklin. 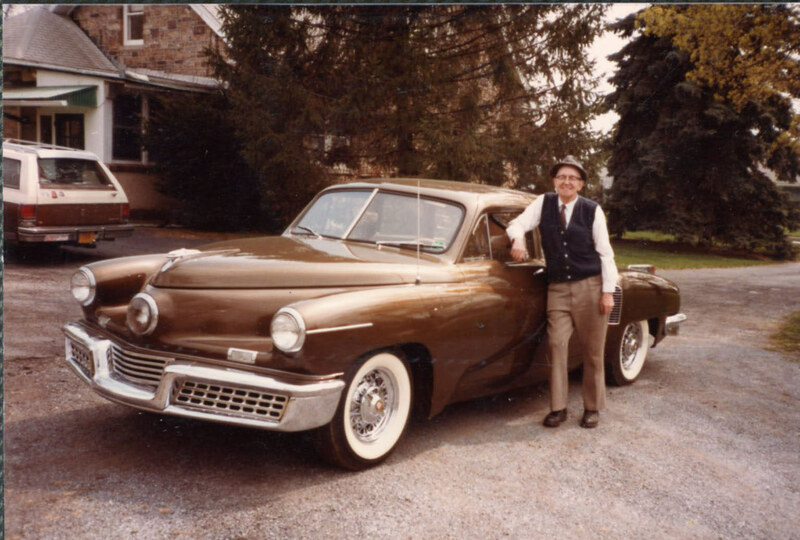 Les loved his Franklin as his Tuckers and drive them often, they were never ever trailered. Les and I had some conversations (I should have taped but was still fairly young when Carl was alive) with Carl Doman who was active in the Franklin Club. Both men were very cordial and friendly, especailly Les. 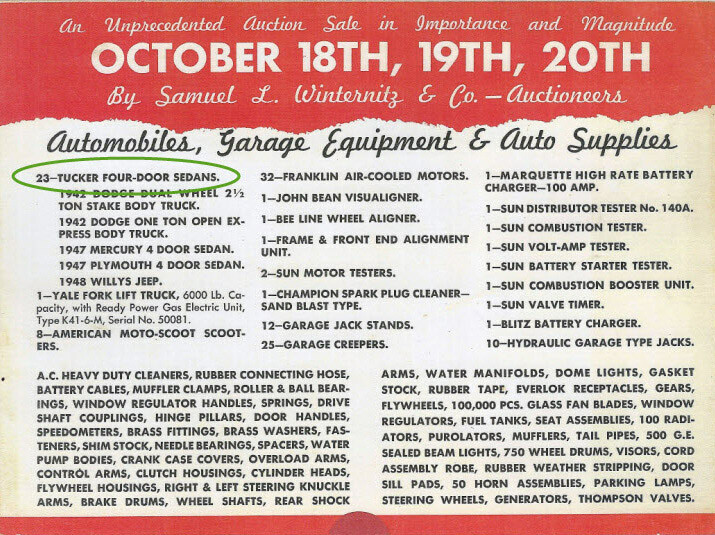 Carl Doman lived in Michigan as did his son Dave Doman who was a good friend of mine as well and spoke to me about his ad’s work at both Franklin and Air Cooled Motors. and Dave was an engineer at Ford Motor Co. Dave had a good collection of Franklins ranging from ca 1908 roadster to a 1932 club sedan. Another Franklin/Tucker friend was Bill Hamlin of California, he had two Tuckers as well and lived near the Ontario speedway in California where he would take the Tuckers as well as his Franklin sedan out on the track to see what they could do. Bill was an aerospace engineer and his “street rod” was a 1935 Reo flying cloud coupe that he put a souped up 1932 Franklin engine in and also a Columbia two speed rear end (these were most often installed in Auburns of the mid 1930s. ) Bill used to take great pride and laugh when he had his Reo at a stop light (exterior was all original did not give away it was repowered by the in line 6 Franklin air cooled engine) and a street rodder in a heavily modified V8 Ford would pull up next to him and Bill would nod “you wanna race” the street rodder laughed until Bill out ran him and just as the Ford was thinking about pulling away Bill would engage the Columbia overdrive which gave it another set of gears and just walk his original Looking Reo coupe away by a great distance. Anyway I have run on long enough. Great news about your Tucker, I know you will have a great time at Pebble Beach , congratulations. A while back in one of my periodicals there was mentioned someone was trying to convert a Tucker into a convertible. I was just wondering if anyone has any info? Here is a link to the controversial Tucker Convertible. Howie. . . . . . .Great story, and great restoration. We (me and my Rambler buddies in California) can’t wait to see Tucker #1044 at Cars on the Avenues in Carmel, CA on Tuesday, Aug. 21st. 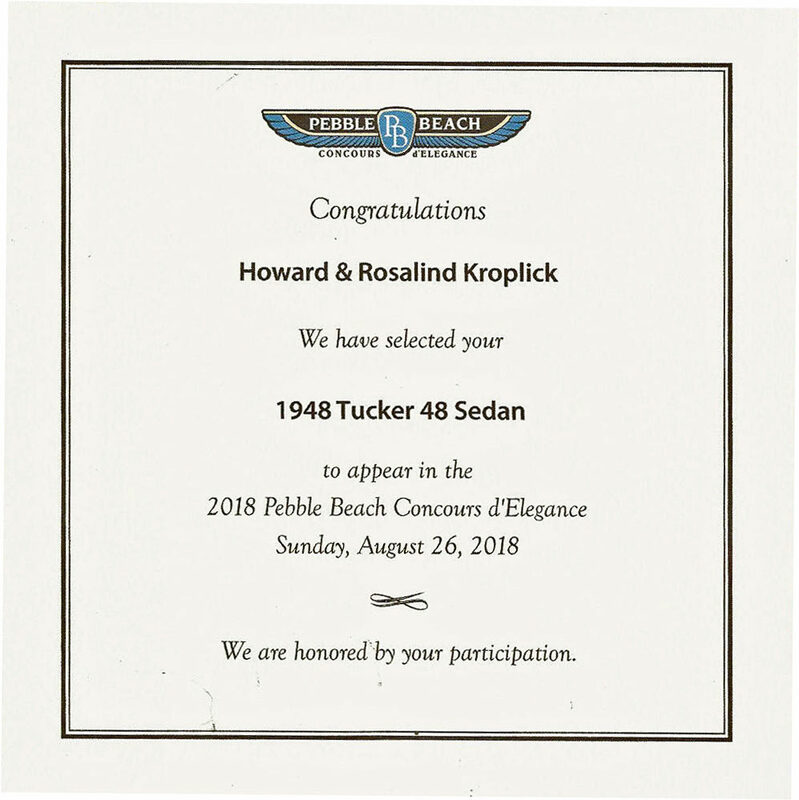 Hoping that you will have a great meet at the Pebble Beach Concours d’Elegance (on Aug. 26th). . . . . . . . . .
Howard the car looks great! Best of luck at the show. We’re all looking forward to seeing the car and the awards when you return. Have fun. 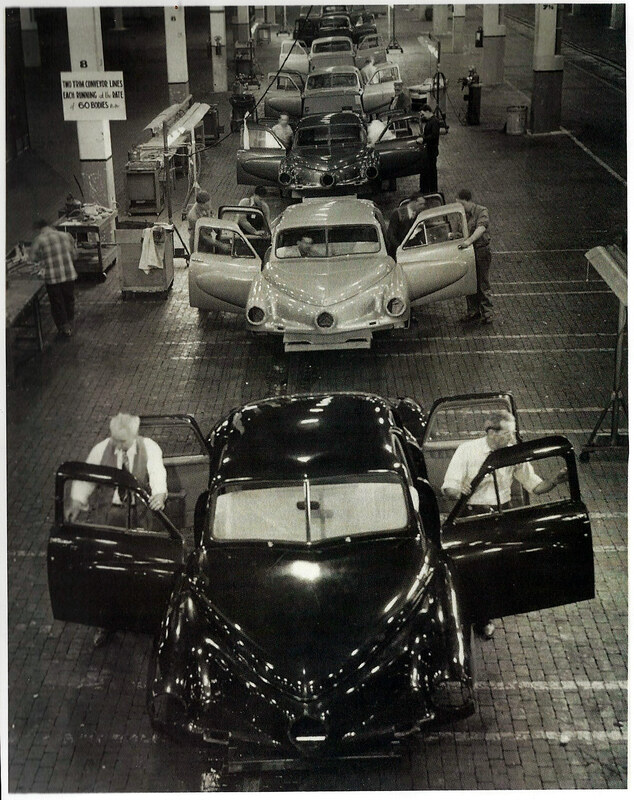 Fascinating history of your beautiful Tucker. Best of luck at Pebble Beach. I’m sure you will look like a proud papa. Stephen, thanks for the heads up!